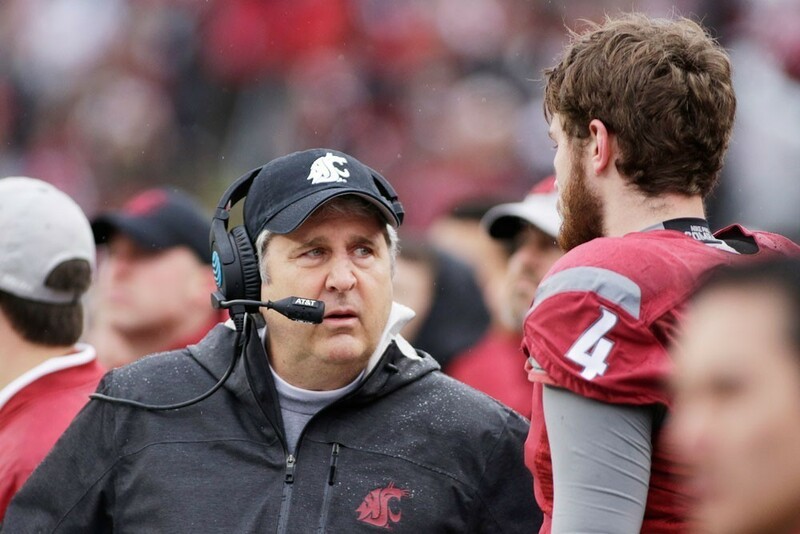 Mike Leach would like to impart his knowledge of football to more than just football players. Maybe you thought it was a joke when Mike Leach tweeted in November that he was thinking of teaching a class called "Leadership Lessons in Insurgent Warfare & Football Strategy," with former state Sen. Michael Baumgartner. Maybe, even after Leach posted an outline of the course over the weekend, you thought there was no way Washington State University would actually offer such a course. It turns out WSU is taking it seriously. 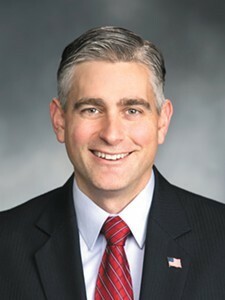 University spokesman Phil Weiler tells the Inlander that WSU could potentially offer the course this semester, but there's no guarantee it will be worked out in time. "We are in the process of trying to see if we can accommodate this request," Weiler says. It would be a noncredit course taught in the evening, he says. Noncredit courses aren't unusual at WSU, but usually the university has those worked out and available for students to enroll before the start of the semester. This semester has already started, and WSU can't really offer it in the fall because Leach, of course, will be busy coaching football. Leach posted an overview of the class on Sunday. It would consist of five night classes over the course of the semester. Included in the required reading of the course? Mike Leach's book Swing Your Sword: Leading the Charge in Football and Life. The first class, theoretically offered on March 27, is called "Introduction to Insurgent Warfare & Air Raid Theory," which would discuss the Arab Revolt against the Ottoman Empire in World War I, then go into a film break down of WSU's game against USC in 2017. One might ask: What do those two things have to do with each other? Good question. Baumgartner, however, doesn't think it's that out of the ordinary. He has experience teaching both economics at Harvard University and counterinsurgency efforts in Iraq and Afghanistan at the Paris Institute of Political Studies. "I've used football as a vehicle to introduce some of the concepts because it's something you can grasp onto," Baumgartner says. Indeed, that kind of thing happens all the time. Elementary school students are taught math by imagining ants eating granola bars. It's a way to meet students on their level and at the same time advance their understanding. You can talk about the Marine Corps or the Army rolling into Baghdad and battling insurgent fighters who are using guerilla tactics. But it's much more accessible if the Army is USC and the insurgent fighters are Mike Leach and the WSU football team, Baumgartner says. "I think football really provides a useful backdrop for examining those topics," Baumgartner says. Mike and Mike came up with the idea for the class during their trip to Cambodia last year, a trip in which they met with the Cambodian prime minister, Hun Sen.
Baumgartner says he was surprised by the response to the proposed class. Leach's tweets on the course have essentially gone viral, with the first one getting nearly 45,000 "likes" on Twitter (for those of you not on Twitter, that's a lot even for someone with a high profile like Leach). It's still unclear if WSU can pull it together. Weiler says the university is making sure it will be a good experience for students. Though it may be too late to fit it in this year. "Ideally we would have had these conversations several months ago," Weiler says. Baumgartner hopes it is worked out because he thinks some students will get a lot out of the class. "I hope we find [students] interested in going into national security or diplomacy or intelligence," he says. "Also maybe we'll find somebody who wants to be the next Mike Leach and be a football coach."